The Practice Guides for Raising Our Sights are out. 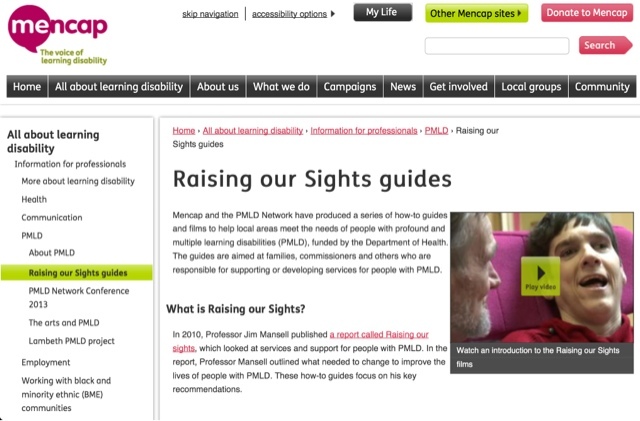 Check them out on the Mencap website. There are links to the guides and videos linked onto YouTube. I’m just watching the Clinical Procedures video and it’s great.